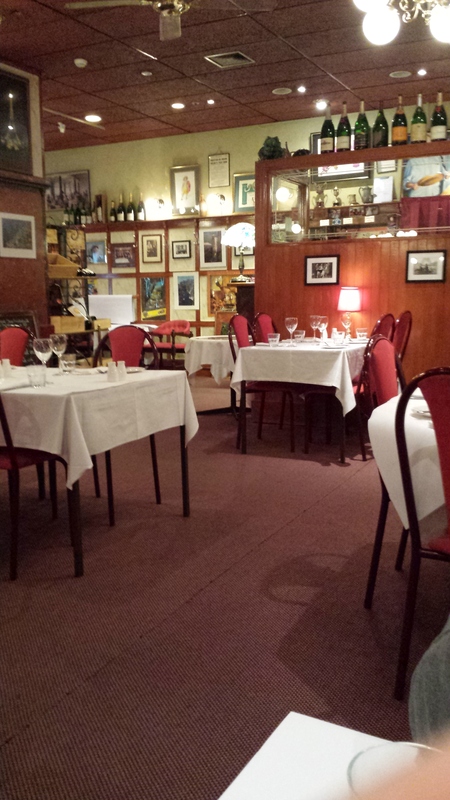 Inside the restaurant. Nicely lit and many interesting pictures hanging on the walls. 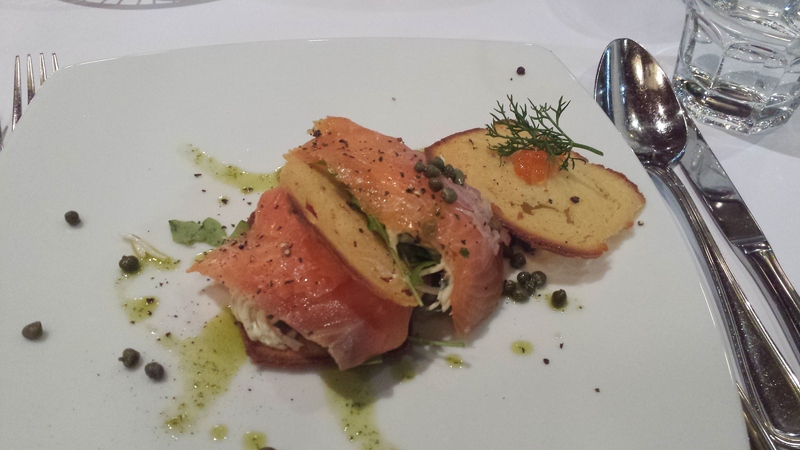 The smoked salmon stack was one of their specials that day. So glad that I ordered it as my entrée. All the components of the dish matches so well. The brioche wafers were super thin and yet I could taste their butteriness. I love the crunch from the brioche wafers as well as the popping of the salmon roe in my mouth. In short, YUMMY! 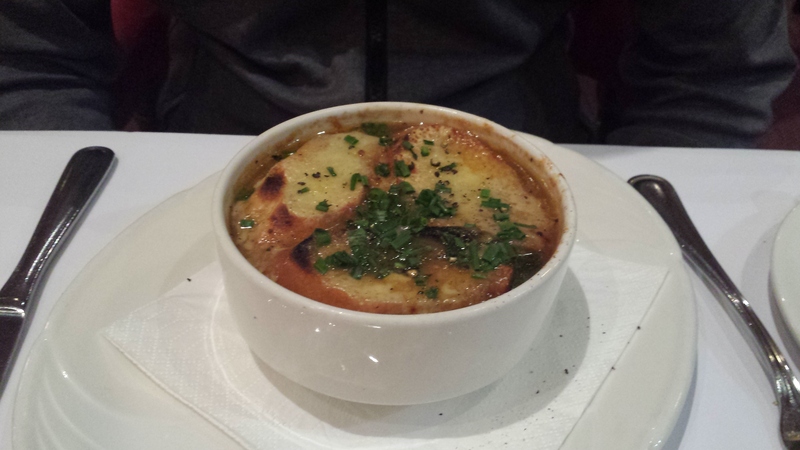 Mr. D ordered the french onion soup for his entrée and boy, he was very pleased with his choice. The soup was robust and full of flavor. He couldn’t get enough of the cheese croutons. 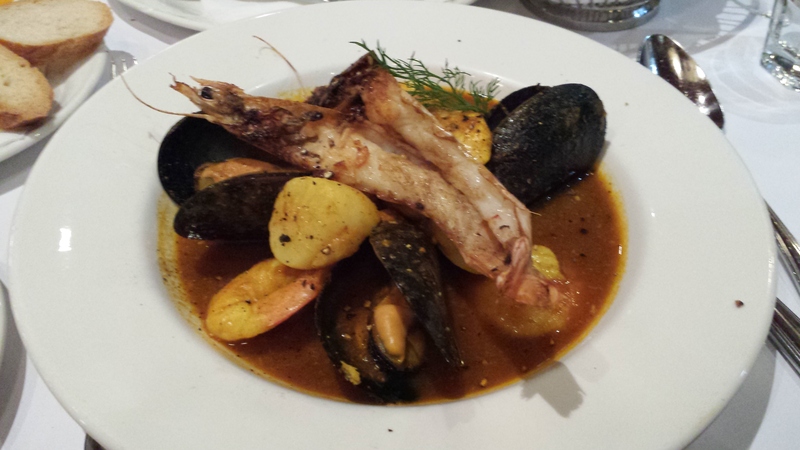 As for my main, it had to be the Bouillabaisse Royale. I have anticipated this moment for at least 4 years. I know, I should contain my excitement as too high hopes will lead to more disappointment. I was beaming when the dish arrived. The broth was thick and the seafood on the plate was cooked perfectly. However, I did find that the soup was a tad salty. 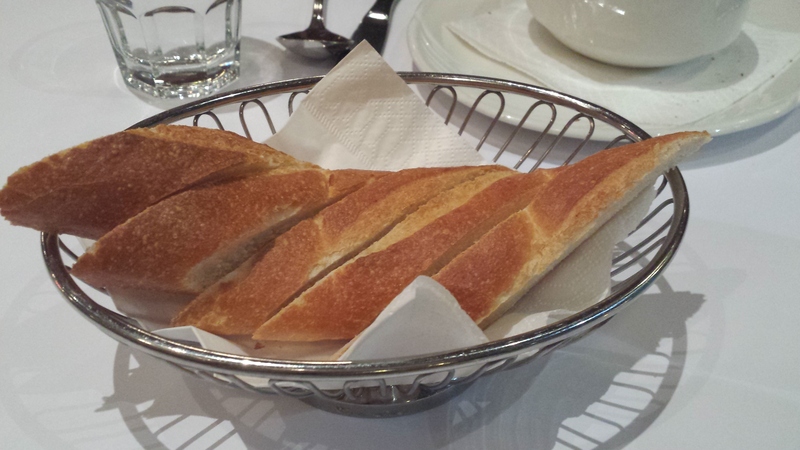 It was alright if I ate the soup and the bread together (which is how it is supposed to be eaten) but then I ran out of bread and there was still plenty of soup left which I couldn’t drink by itself. Such a pity :(. Next up was Mr. D’s main dish, Noisettes d’Agneau. The lamb was cooked to perfection. Extremely juicy and tender. In my opinion, they were quite generous with the meat. The potato au gratin was just so buttery. That was the winning dish of the night. 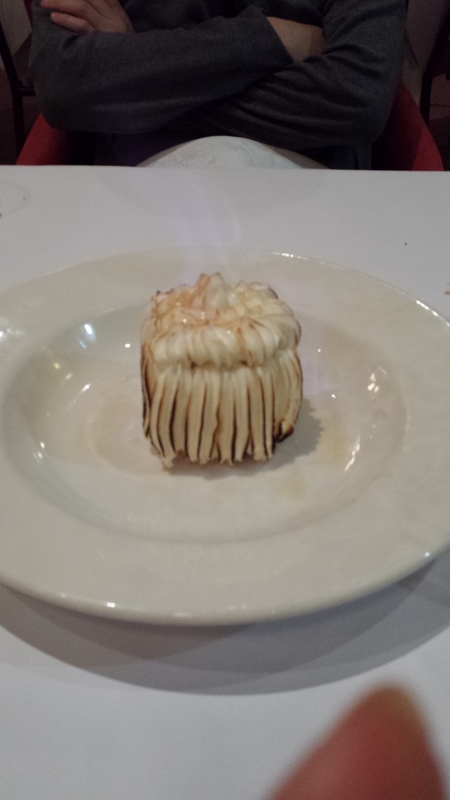 Our final dish of the night was the Bombe Alaska. I’ve always wanted to try Bombe Alaska ever since I watched Peter Gilmore’s bombe alaska “Snow Egg” appearance on Masterchef. The Flambé got me all excited but unfortunately the dessert was not too interesting. To me, the highlight of the dessert was the thick and glossy meringue. I did not fancy the dried fruits they added to the ice-cream. They seemed out of place. Overall, it was a great experience. There were some misses but I would still go back. Their service was exceptional. 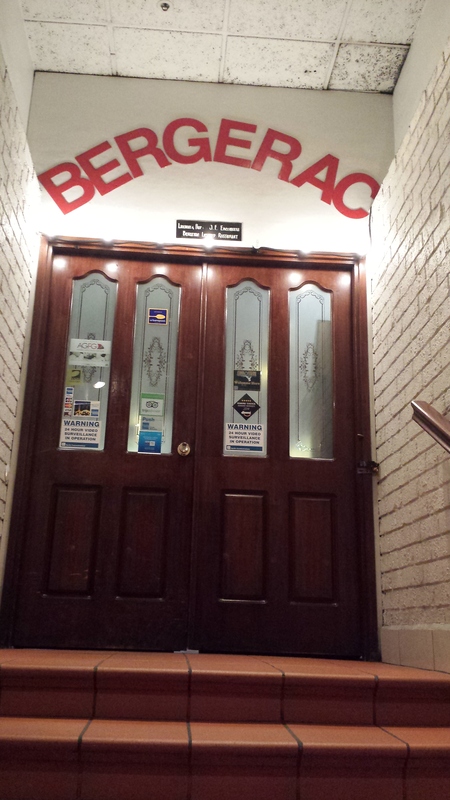 The staffs were very friendly and courteous.